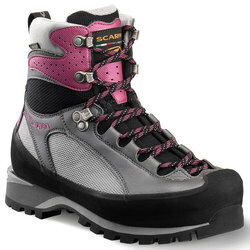 Repel yourself to heights heretofore unknown in mountaineering boots engineered specifically for women. 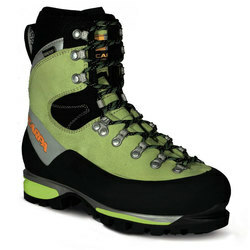 Take that first step towards the alien and unexplored and browse US Outdoor’s exclusive offering of women’s mountaineering boots. 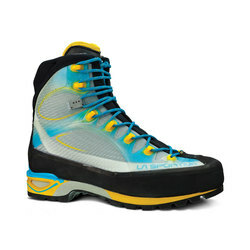 Available in a variety of inviting two-tones to reinforce your personality, consider brands like La Sportiva, Scarpa, Salewa and Kayland to elevate yourself beyond an ordinary hike. Teal, maroon, black and purple are just a few of the color options at your disposal. Revel in that unique flourish of style and the unsurpassed durability that characterize these meticulously crafted women’s mountaineering boots.